Agribusiness is a buzzword which is used to describe corporate agricultural enterprises individually and collectively. 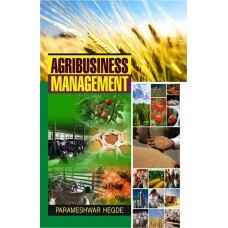 The agribusiness approach is a method of examining farming problems in a new and more comprehensive setting. Within the agriculture industry, agribusiness is widely used simply as a convenient blend of agriculture and business, referring to the range of activities and disciplines encompassed by modern food production. Farmer operator or farmer manager has to give proper thought to this consideration in order to make his business a successful one. The success parameter of agribusiness rely mainly on the location. Agricultural marketing covers the services involved in moving an agricultural product from the farm to the consumer. Numerous interconnected activities are involved in doing this, such as planning production, growing and harvesting, grading, packing, transport, storage, agro- and food processing, distribution, advertising and sale. Agribusiness is the single platform of hundreds of trade associations, commodity organizations, farm organizations, quasi-research bodies conference bodies, and committees, each working and co-operating together on its own interests.